Mitt Romney is the candidate that people love to say 'blah' about. There seems to be nothing much exciting to say. There's no real dirt (a refreshing surprise), as he seems to have led a pretty humdrum, Mormon-style life of family, business and religious activities. Not to say that this is bad, it just doesn't make for a lot of juicy stories to feed the media and that tends to disappoint. That aside, do we need a business man such as Romney to get us out of this economic swamp of despair we find ourselves wallowing in? Perhaps we do. Maybe we don't. Frankly, I haven't made up my mind. I will say this, he is certainly the most promising thing I have seen on the Republican side of the race. 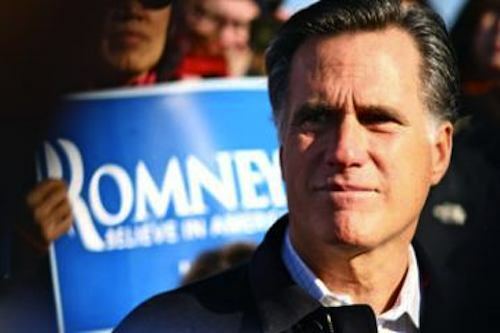 Is Romney the conservative he claims to be? Absolutely not. If he were, there would be no such "Romney-care" in Massachusetts. I believe people like Ann Coulter know that, as well -- but are looking for the candidate who is the most electable and whose last name is not Obama. To somebody like her, he is the lesser of two evils and one she might be able to deal with. I'm not a extremely conservative guy, so I don't see being one as a necessity for the nomination. I wouldn't really care if he is very similar in essence to Obama (that may rustle some conservative feathers). What might work is the fact he is is NOT Obama. That being said, perhaps he can find ways to compromise with opposing views that nobody else seems to be able to do these days in Washington. People seem so opposed to President Obama that I fear they wouldn't cooperate with him, even if they totally 100% agreed with him, on any given issue. Mitt Romney's Mormon religion doesn't bother me, either. At least he has a set of beliefs and values he seems to have stuck with throughout his life that serve him well and I can respect that -- even if his beliefs aren't necessarily mine. So he has baptized the dead as part of his Mormon background. I can think of far worse things than thinking of others and their welfare after they have departed this life. Is it a little weird? Well, to me it is -but I'm not a Mormon. Is it worth getting all bent out of shape over? Probably not. I don't think I would be terribly upset if I found out that I or a departed loved one were in line to be baptized by the Mormons to give us another chance in the next life -- I think that's very thoughtful. I don't believe in it and it is contrary to the Christian teachings I adhere to, but I will accept the gesture in the spirit I believe it is intended. I know some Mormons and, by all accounts, they are decent, family-oriented people. Please don't misread what I am writing. I haven't made up my mind about him, so I am certainly not willing to come out and endorse him personally. But I think we could do far worse and am open to considering him as an alternative to our president -who seems to be a little stalled at the moment. Confession: I liked President Obama and actually voted for him in 2008. But I feel like we got duped with promises of transparency that never materialized and also that a chain of events has led to polarization, crippling our government and robbing us of the task at hand - getting our country back in economic order. So maybe it is time for a new face in the White House. I wonder if I am becoming the equivalent of a "Romney Democrat?" Time will tell. I think that if I paid attention to politics back when Reagan was running for office, I would have been labeled a "Reagan Democrat." Nothing personal. I did respect and admire his opponent -- just thinking of what conclusion I might have reached had I really been paying attention then. I am now.